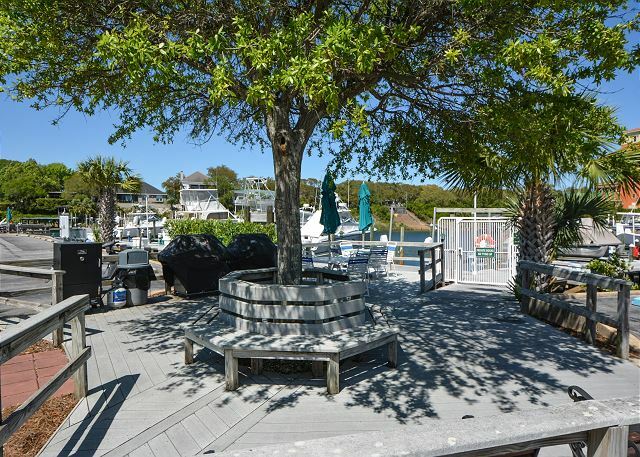 Enjoy the harbor-front view of this 2 bed 2 bath condo! This unit has a fully equipped kitchen as well as plenty of common area space for the family. The master bedroom features a king size bed and the guest room has 2 queen sized beds which makes it easier for larger groups! This unit sleeps 6 very comfortably. Also included is free Wi-Fi and a large flat screen TV in the living room. 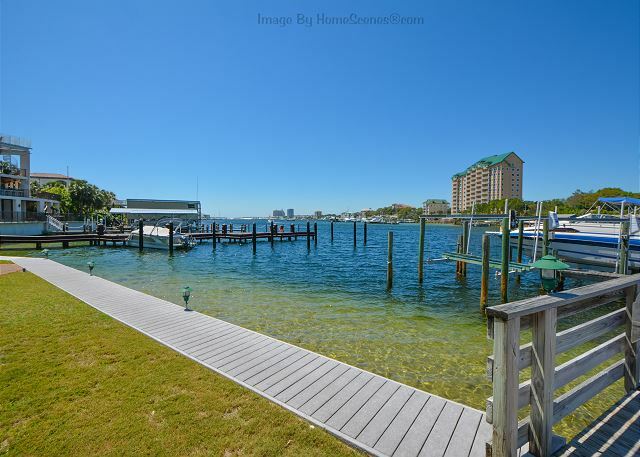 The balcony overlooks the tennis courts and the peaceful Destin Harbor. 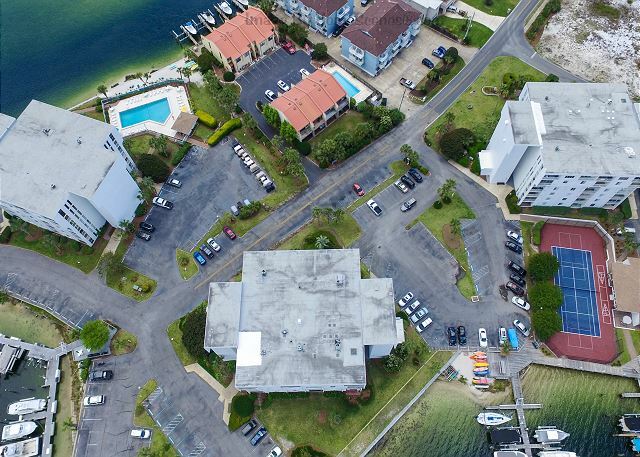 The Dolphin Point complex has a swimming pool and tennis courts for your enjoyment. Dolphin Point is only a few short blocks to the public beach access. And to add the icing on the cake, you can kayak or paddle board out on the harbor in seconds from this location! Very enjoyable experience. Nice weather, condo in perfect shape, nice views, complaints. Would recommend Pepitos for great Mexican food at 757 Harbor Blvd. Always great to work with the Blue Marlin team. Never any problems always friendly and enjoyable just to be be around. A great professional team. What a beautiful, well stocked condo!! The condo is decorated beautifully! It comes with a beautiful view as well! The beach access is amazing and the pool is kept clean! The condo stays very cool in even the hottest days. It is well stocked with everything you need. The only thing we had to buy (other than food) was a blanket for the pull out couch. 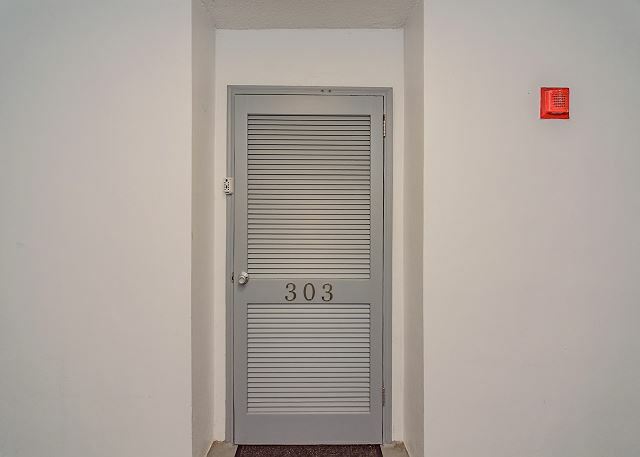 The condo was located close to (within 2 miles) of hundreds of stores and restaurants. Blue Marlin rentals kept in contact with us. Check in/out was easy and on the way to/from the condo. We couldn’t have asked for a better place to stay. We would definitely stay here again! This place was more than I could ask for. It was so quiet and relaxing the entire trip. The staff at Blue Marlin Rentals were sooooo nice and helpful! Also the rental home was so clean and everything looked like the pics. Easy access to the beach and pool. I would most definitely stay here again or anywhere with Blue Marlin Rentals. The best in Destin! Excellent location and a beautiful view of the harbor. 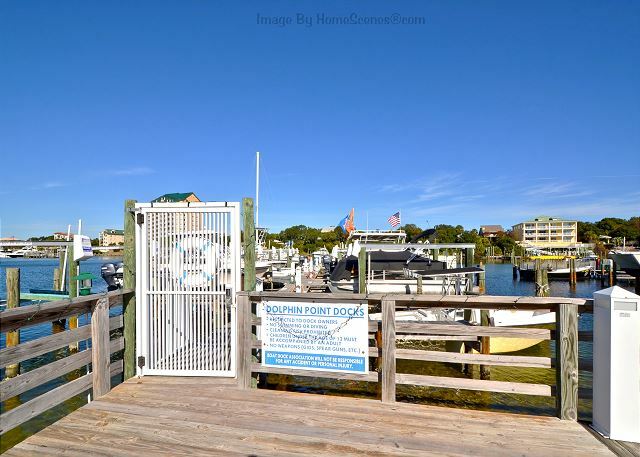 I'm a former owner of a condo at Dolphin Point and I really enjoy the more tranquil laid back atmosphere of the harbor versus the gulf. The owners did an wonderful job decorating this unit. Monica Mares ate Blue Marlin Vacation Rentals made sure all of my questions were answered and my needs were met. I highly recommend this unit and will be back again soon. Fantastic family trip in Destin! Recently stayed at Dolphin Point 303a with extended family for Spring Break and had the beast time. Blue Marlin Rental Group is top notch. 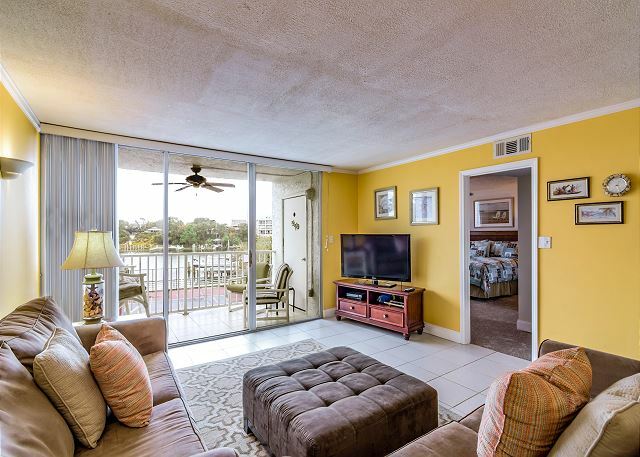 The condo was prepared beautifully with more than we could have needed during our stay, and every activity we wished to do do from go carts & mini golf to tennis and boating were all within a very short distance. We will definitely be back! We had a relaxing week in Destin with great weather and a great experience at Dolphin Point. Always a great time in Destin and staying at Dolphin Point is a must. Great rental. The Blue Marlin team is always a friendly and a professional group. I do not even know where to start. This place was awesome all the way from the staff to the condo. I drove all night and was super tired and ask if I can check in earlier and they work with me. I got to the place to pick the keys and they were very quick and nice! When I got to the condo was suprise how beautiful and clean everything was. No need to bring nothing the condo has everything you can thinks of. The design was very nice and the rooms were excellent! 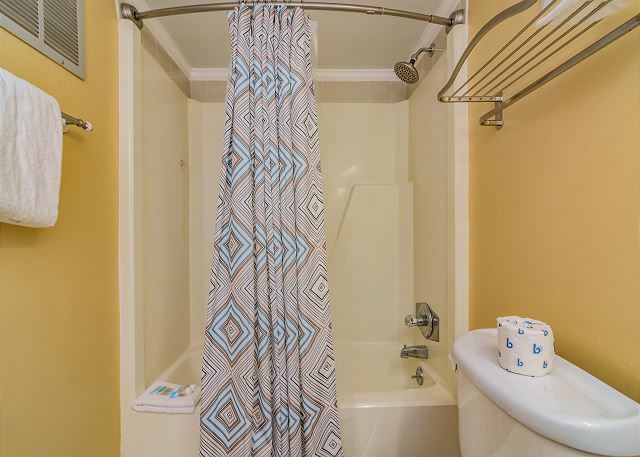 Pictures are exactly what you see in the rental info! My kids and all of us were happy and satified! Next time I would like to stay in front of the pool bet the view is beautiful, we stayed in front of the tennis court is wasn't that bad still has a nice view! Pool was 2 minute walk very close and the beach was like a 5 minute walk! Check out was the saddest part as of everyone wanted to stay 😁 but we shall return. Maybe in the future they can change the hours of checkin and checkout. It would be very convenient to check in as early as 11 a.m. or even 12 or 1 p.m. and check out by 10 a.m. Well overall I want to appreciate Dolphin Point for everything and hope to be back! Condo was nice and clean. Updated and has everything you need. Nice view overlooking the tennis court and harbor. It a little walk to the beach but to far. I'd recommend this to condo to anyone looking for a good condo for a lower budget. We will definitely return. Condo was very clean and comfortable! We enjoyed our stay and were sad to leave! Overall, the experience was what we expected with very few interruptions. There was a lot of maintenance going on at the time of our stay, and only a couple of times did we hear drilling or banging in the a.m. The workers seemed very nice and accommodating during out stay. The only thing that i would provide in terms of negative feedback would be that you or someone let the guests know AHEAD OF TIME that these things were going on and as such, offer a 10-15% reduction due to inconvenience. We love it there. We've stayed there several times. 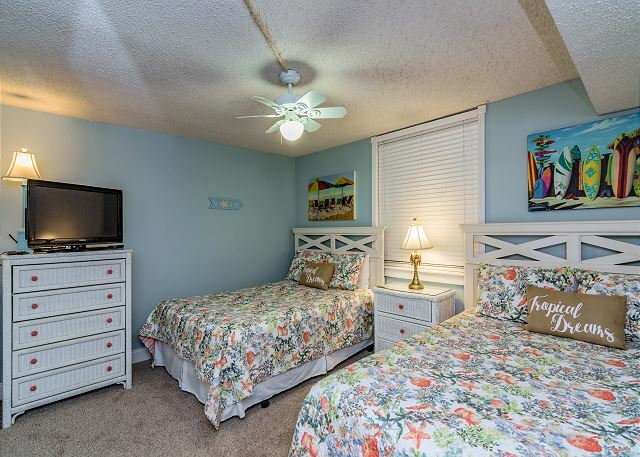 This is a beautiful rental with a short walk to the beach. The condo is a great value. Definitely plan to stay here again! We loved our time at the condo, which was super cute, clean, spacious and well furnished. We loved the ease of access to the beach, the pool and water taxi. Moreover, customer service from the rental company was awesome. I would definitely return for another vacation! We enjoyed our stay at Dolphin Point, four nights in June. Very nice rental with lots of dishes and kitchen accessories. Overall, had a great stay at this condo! It is not right on the beach but it is very easily accessed, walking straight down the sidewalk. It was quiet, we never heard our neighbors and we had the beach almost completely to ourselves! Definitely great for people who are not a fan of big crowds. Had a nice view of the harbor and everything in the condo was in great quality. Only small negative was one of the beds had some light stains on the comforter and sheets. Other than that, we had an excellent stay! Will be looking to come back in the future. The condo could have been cleaner- bedding and floors dirty. Also could have been better stocked with some basics-dish washing liquid; kitchen towel;toilet paper; bath towels;sponge; trash bags, etc. I rented this condo with a couple of friends for a few days and we had an amazing time. The property was just as described and was in great condition and very comfortable. 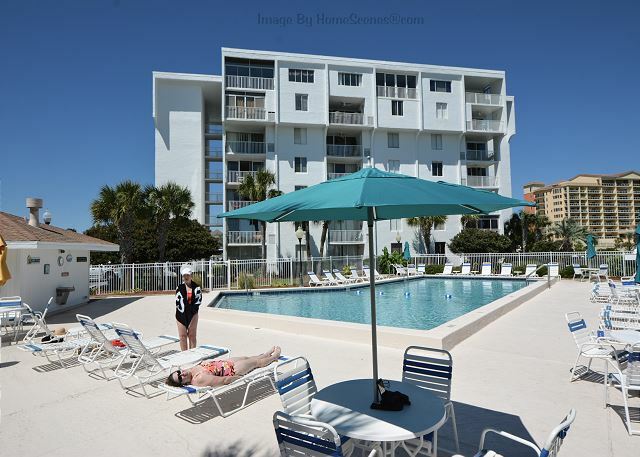 The beach was only a short walk away and it was very convenient to drive to restaurants, stores, and attractions. Working with Blue Marlin was wonderful and they made it very easy. We had a great time and I would absolutely remember our experience and recommend to others. We had to go buy toilet paper, paper towels and trash bags. Had to drive to go eat and walk a pretty good piece to the beach. By the time we drug all our stuff to the beach and the walk we were so worn out that we couldn't enjoy the beach. You had to walk because there were no parking places at all. Other than that it was nice. WE HAD A WONDERFUL TIME, IT WAS PERFECT FOR MY FAMILY OF 8. WHEEL CHAIR FRIENDLY FOR MY HANDICAP MOTHER (JUST NEEDED A BENCH IN THE SHOWER). It was a lot better than I expected. Gorgeously decorated and very roomy. Loved the view from the balcony. Expecting to rent with Blue Marlin Realty from now on!! The vacation was amazing right from the start. Blue Marlin Realty had everything ready right when I walked in, and provided me with answers for any question I had. The condo was wonderful! It had a great view and walking distance to the beach. When I return to Destin I will use Blue Marlin Realty without a doubt. My Sister & I wanted to vacation together with both families(4 adults & 2 small children). We both have extremely busy schedules so finding time and a place to accommadate our needs was going to be hard..We thought :)!! Blue Marlin Realty Group were right on POINT. They have selections for anybody even us. We had the BEST of ALL of Destin. 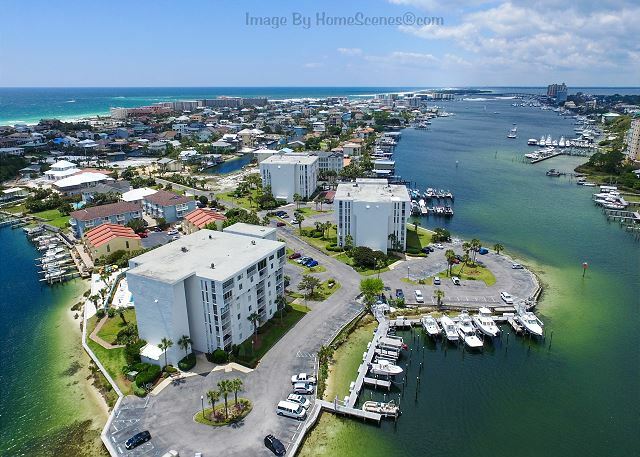 The quiet harborside, the gulf beach(mostly to ourselves)and within 2-3 miles of All the SHOPPING. The people in the building and surrounding buildings were nice. We have a new "Hang-Out/Get-a-Way"!! Holiday Isle!! !